Donegal will play Mayo on the third weekend in September. Mayo after beating the favourites Dublin, 0-19 to 0-16, secured their place in the final. Mayo at one stage by a massive 10 points, and will be a team to reckon with for Donegal, who also had an impressive game against Cork in the semi-final. It’s the first ever senior football final between the two teams, and it will surely be one to remember. Donegal hasn’t won an All Ireland title for 20 years, while it’s been 61 long years for Mayo. Either way it will be a great day for football, and perhaps it shows a new era for Gaelic football in Ireland with these teams reaching the final. September 23rd at 3:30pm in Croke Park in the 2012 All Ireland football final. Time is GMT. 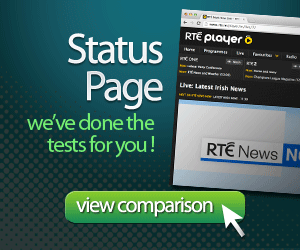 You can watch the game on RTE here : http://www.rte.ie/tvplayer/ie/live/10/, to may need to use a VPN like overplay if you are currently not in Ireland Obviously you should only do this if you have a valid license to watch RTE.